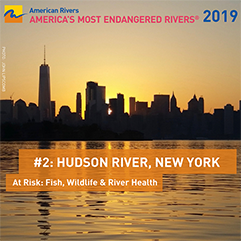 This study site is where the Moordener Kill, which is a medium gradient, warm water stream, with a gravelly substrate, drains its approximately 33 square miles into the Hudson River. The Moordener Kill is an important spawning and nursery area for a variety of coastal migratory fish species. A proposed pipeline route would cross the estuary marsh, a significant feeding area for the protected Atlantic Sturgeon, at the mouth of the Moordener Kill.